You had one job, Fox News. ONE JOB. And it's not like they didn't have time to get it right. We were told that Miss Franklin's extraordinary life was coming to a close at the beginning of the week. Although, I guess it shouldn't come as a surprise that they think all black women look alike. UPDATE: Fox VP Jessica Santostefano apologizes. — Ed. 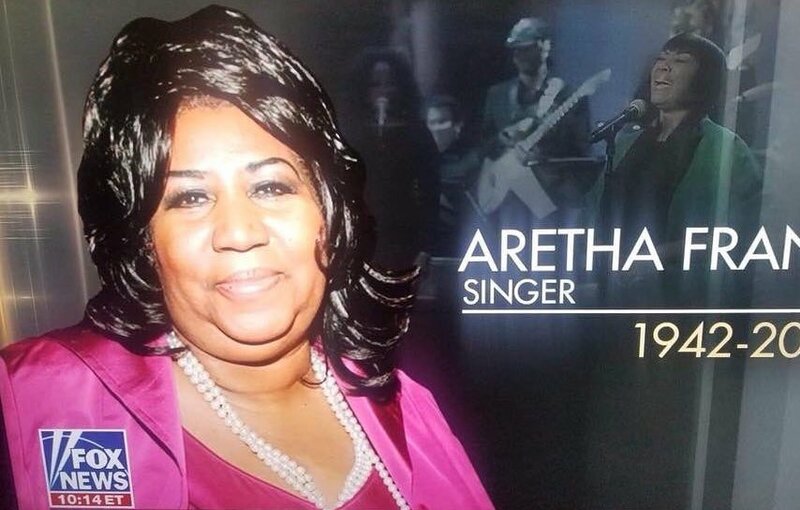 The life of Aretha Franklin is being celebrated today in Detroit, at what is already described as a legendary memorial service. Earlier today, the British Army paid tribute to the late singer during the Changing of the Guard at Buckingham Palace in London.